Ok we’re in NJ so I can’t talk. 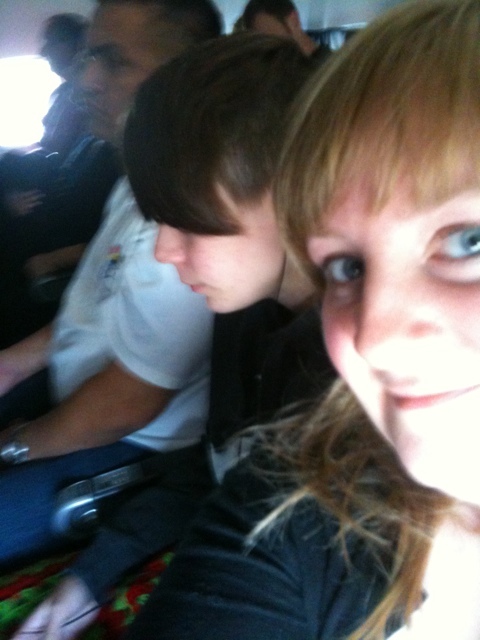 But this pic is of us on the plane. We visited with Granma Barr, my Aunts and Cousins last night. We just visited with our friend Don. Right now we’re going to Seaside Heights for a hot minute and then onto Nana’s!